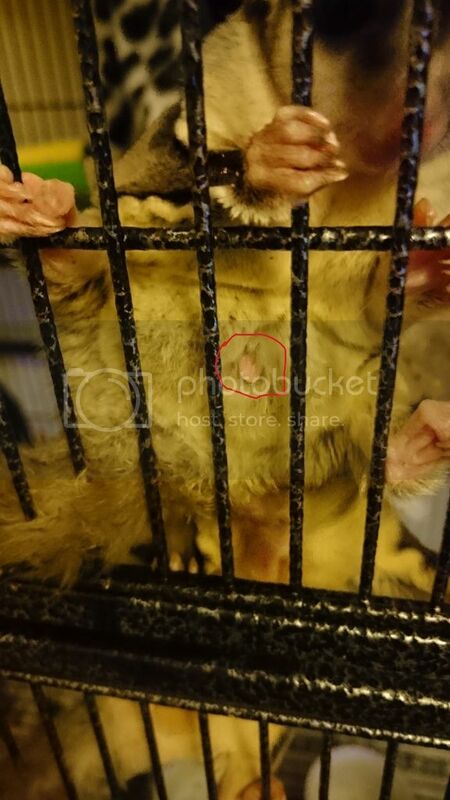 Hey guy's so I was told Deejo was a girl when I got her and I have always believed that but I saw this pink thing the last two days and wondered if she is actually a boy or could she be pregnant ? She has put on some weight recently but I have also been spoiling her with treats too. 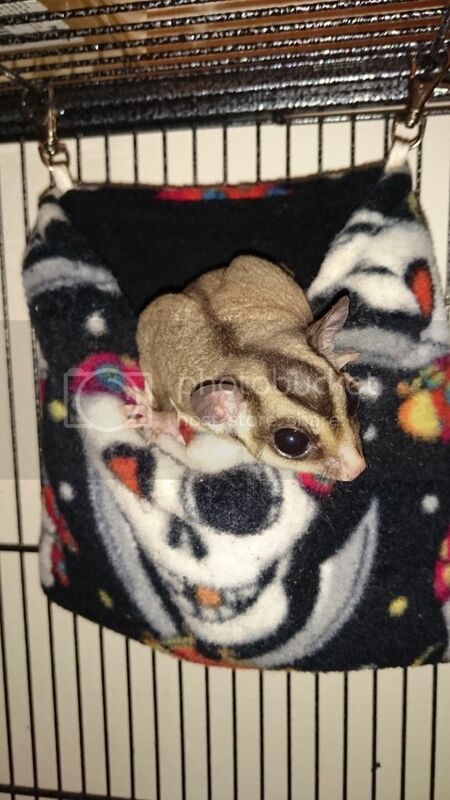 I have noticed something similar on my other glider but much lower down near the tail starting point and it seems to be more pointy. That is a boy Can you get a picture of the other one. I think you have one of each, the one with the little bald spot is a boy. The other one looks like she has a little bit of her pouch sticking out. 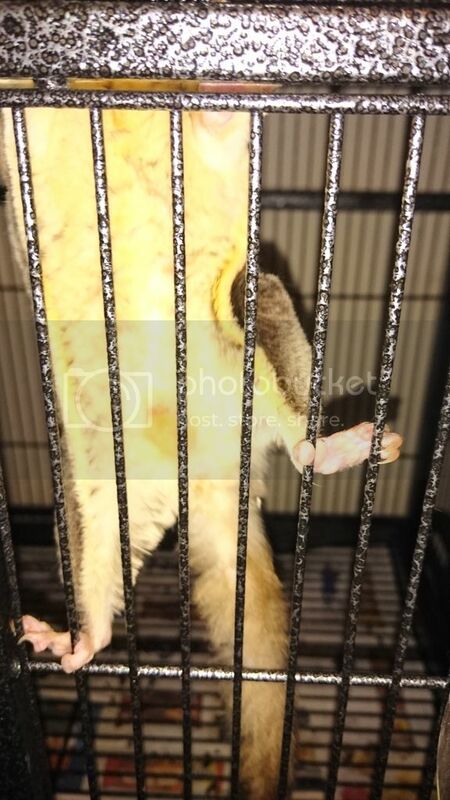 Can you hold her and see if she has a pouch. Are you planning on breeding. You may want to get your little boy neutered. THANK GOD my lil girl I was getting worried there, I always thought it was that way around. 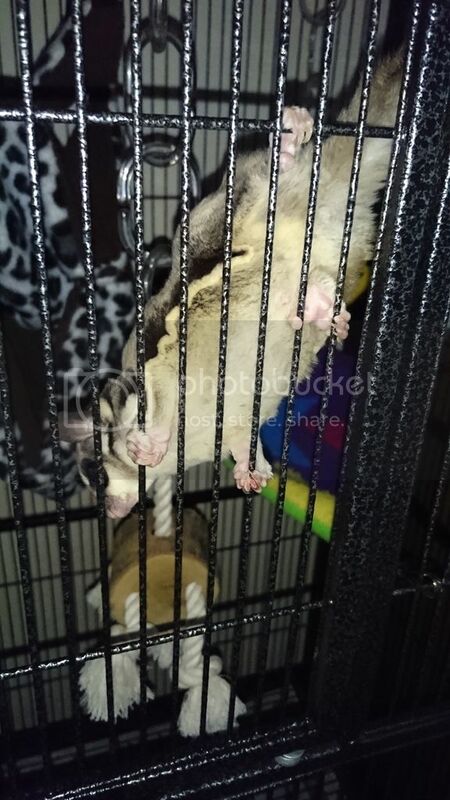 I have not picked them up yet I have been taking it very slow as I got them in a bit of a bad state and have been working with them every night slowly bonding at the pace they feel comfortable. 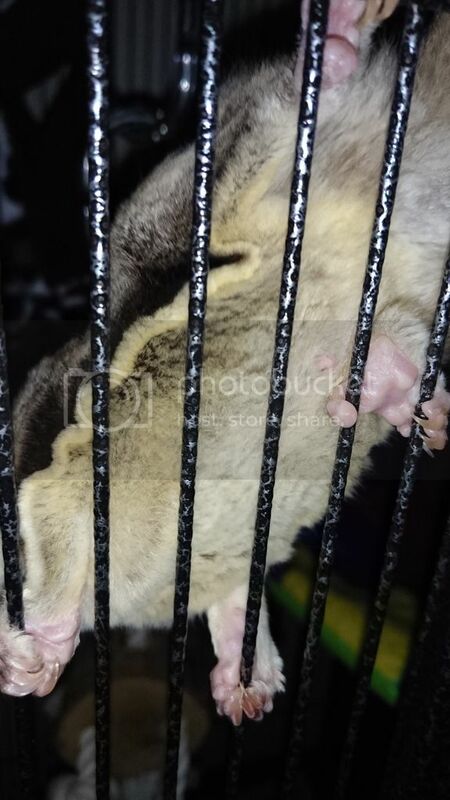 I can stroke and pet her and him on the head and body and play with them but I don't pick them up I'm honestly a bit scared to be bitten lol so I tend to just use a finder or two and rub under there chin and around the ears and comfort them. They are so friendly towards me now though that they eat out my hand and rush to see me compared to when I first got them and they were crabbing, now they make sweet noises to me. 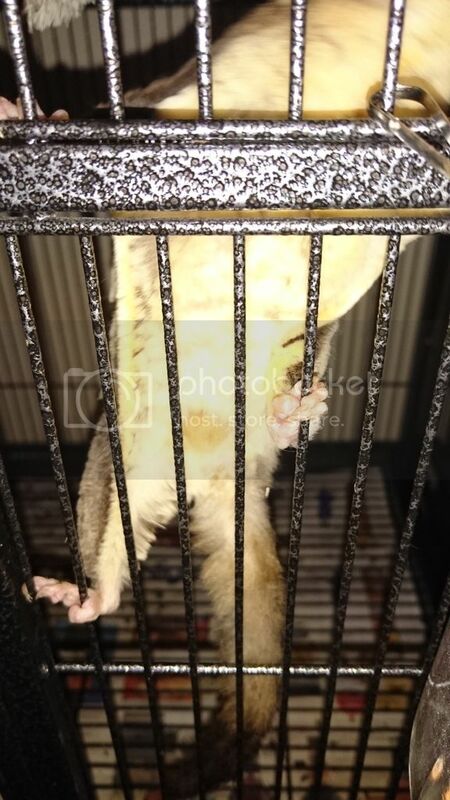 The one you said is a girl has slight vibrating motions from were her pouch is could that mean she is pregnant, and yes I would love to breed them and have more of them. Last edited by Hutch; 03/14/16 07:49 AM. lol my little stud muffin, so do you think she could be pregnant as she does look slightly more plump lately ? Also should I provide any nesting materials to take to their pouches and if so what material is good for nesting ? Last edited by Craig; 03/14/16 06:01 PM. Oh, trust me, every glider owner has been there! For a time, you'll just have to be prepare for the possibility and realize they will (mostly) grow out of it. Even now, I still expect nips from Arthur (my least bonded) and Gwynevere (who may be my most bonded... or at least she thinks I'm hers ). It can be a little frustrating & a bit painful (just ask my ears ), but it'll fade as long as you consistently ignore or discourage it. Just don't pull away (easier said than done, I know). If they're ready, they'll climb on. If they're not, just offer every few nights. I'd be surprised if it takes more than a few offers if they'll accept that much touching from you sounds like you're doing fine! Try and get some better pictures.